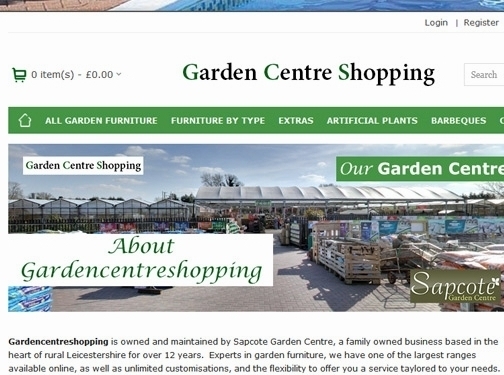 Gardencentreshopping sells garden furniture online, to the UK mainland. Based at a garden centre in Leicestershire, they a wide range of outdoor furniture, including rattan dining sets, sofa sets, and patio bistro sets. There are also swing seats, loungers, and all weather benches available. They are always updating their furniture blog, with useful reviews on their products, as well as how-to style articles to help you make the most out of your garden. They can also be found on Facebook, and G+ if you ever have any questions. They are well known for their range of Winawood™ all weather benches (see image above), which can be found at http://www.gardencentreshopping.co.uk/benches-winawood-all-weather. If you ever needed a rattan dining set, then Gardencentreshopping is the place to visit, they stock round, and oval sets, in a range of sizes, including 4 seater, 6 seater, and 8 seater rattan dining sets. They have also been mentioned for these on squidoo, and you can see their youtube video here. UK (Sapcote, Leicester) based garden centre - established over 12 years ago - providing a range of garden furniture, plants and barbeque equipment. Website includes details of business premises, e-commerce features, delivery and returns information, press mentions, full company contact details.